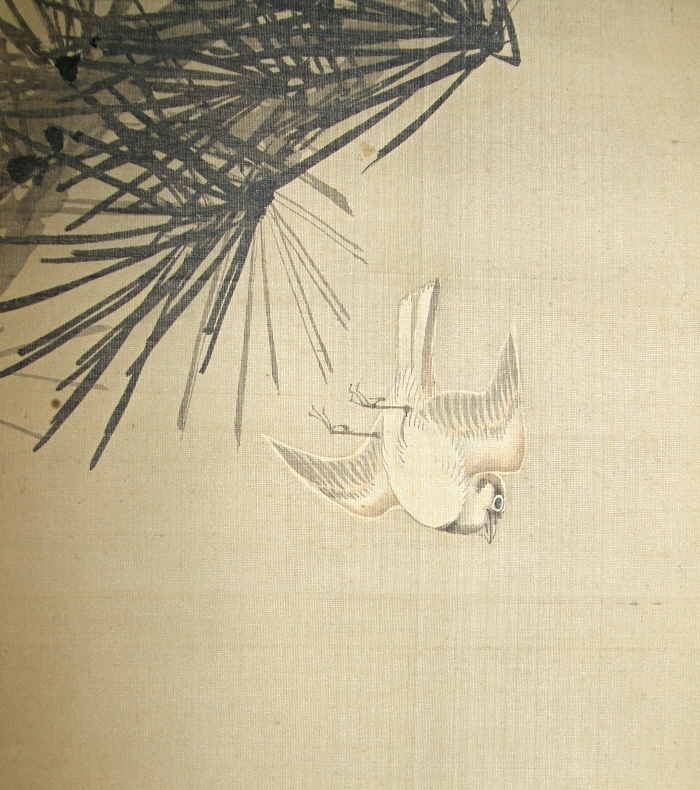 " Hawk Targeting Sparrow "
Japanese-style painter at the latter part of the Edo period. Gansho was born in Osaka. His real given name was Minoru. 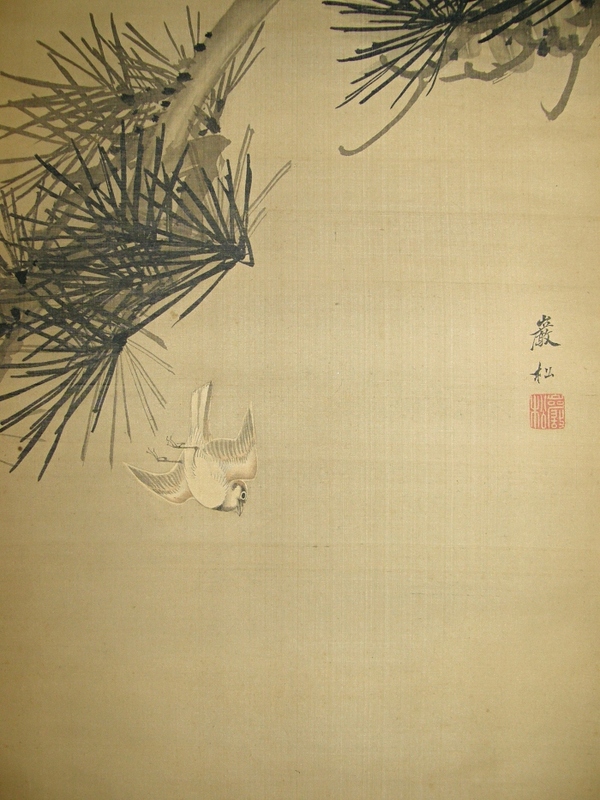 He depicted animals after studying painting under Mori Sosen. Later, Gansho became a disciple of Nakai Ranko and became good at painting figures, Sansui-ga landscapes and Kacho-ga flowers-and-birds pictures. He deceased in 1859 at the age of 62. The scroll is slightly foxed overall as it was painted years ago. There are some spots, stains and folds. 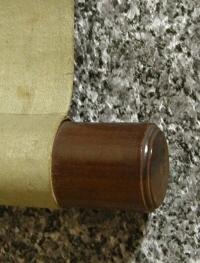 As a whole, the condition of this scroll is not so bad. 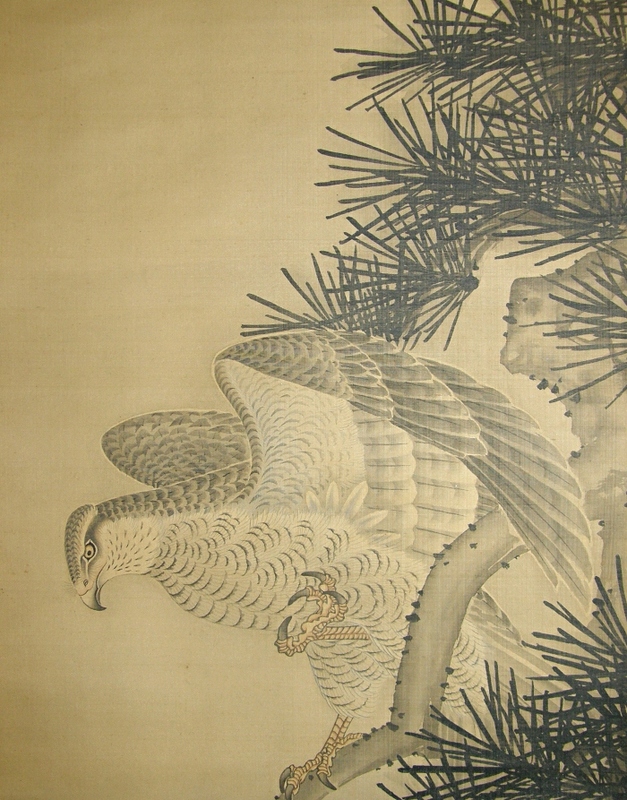 A Taka bird (Hawk) on a Matsu tree branch is targeting flying Suzume bird (Sparrow). 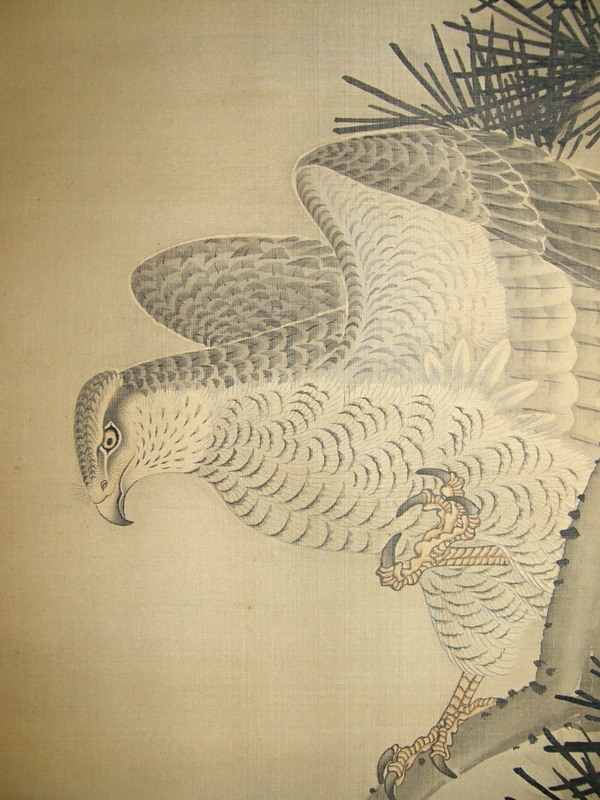 Japanese hawk and Matsu (Japanese Pine tree) are considered creatures of good omens in Japan. Especially, hawk will bring business prosperity. Please note that this scroll is not authenticated by any appraiser. (c) Copyright 2005-2019 Jyuluck-Do Corporation. All Rights Reserved.